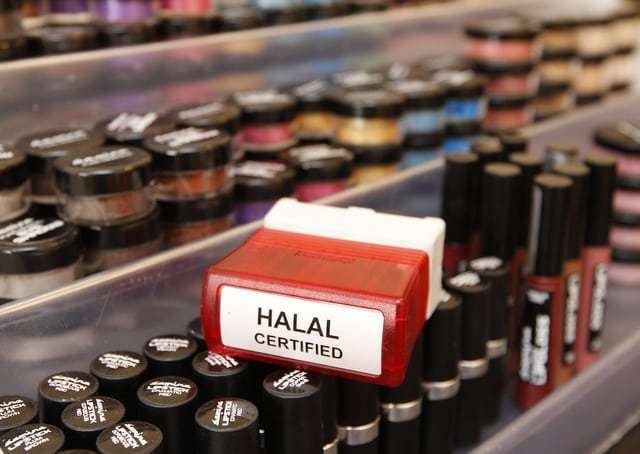 ASTANA – Husna Cosmetics, which sells natural halal items in Almaty, Astana, Shymkent and Uralsk, has been operating in the Kazakh market for the last two years. Founder Zhaina Kuanysh, who aspires to promote national production and eventually export her products, spoke about her plans in an interview with kapital.kz. “When I choose cosmetics, it was essential for me to ensure that there are no harmful chemicals and animal fats. This applies both to decorative and care cosmetics. I had to order from abroad, because I did not find a suitable option for myself in Kazakhstan’s market. First, many components in the cosmetic’s composition are harmful for the skin, but people do not know that. Second, it is important for me to have a product from a national manufacturer,” she said. “I wish our country to develop. By producing our own cosmetics, I intend to export it abroad in the future,” she added. Kuanysh cited an example of lipstick from a well-known firm which contains lead. Following an examination, she learned it has 3.7 percent of the additive, which is considered a large amount. “Many people use Korean cosmetics now and there are manufacturers who use hazardous ingredients, but we do not know about it. Lead is a harmful substance that settles permanently in the body. 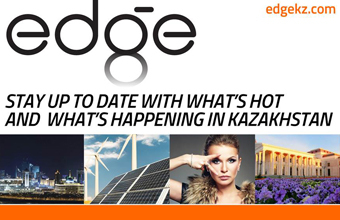 Products in Kazakhstan are allowed to have up to 5 percent lead, but according to European standards it is very high. Many purchasers are not aware of it and pay little attention to the impact of lead on an organism. Expensive cosmetics do not guarantee good quality,” she said. “Husna cosmetics are not expensive, but I can say that it is of high quality. It is important to read the cosmetic’s composition when buying it,” she added. Kuanysh began with $2 million as her own investment. She started small, just making lipstick, and over time the assortment has expanded. Now, one can find whitening creams, pigmentation serum, gotu kola cream, centella asiatica, universal restoring complex serum and washing foam. Decorative cosmetics include lipsticks, BB creams, cushions, eyeliners and eyebrow pencils. “We create cosmetics taking into account skin of women specifically of our region and our race. American brands are more focused on its local area and local residents. It is not suitable for Asians,” she said. She creates her own formulas, for understanding skin structure is as important as understanding chemistry. Friends from different countries assist in the production process by correcting mistakes and supporting project development. The cosmetics contain high-quality ingredients purchased from Japan, South Korea, Spain and the U.S.
“Raw materials are of high quality in these countries. The quality of the ingredients in China is quite different. Ceramides, for example, are the important element of the stratum corneum of our epidermis. The composition may have the same name, but the percentage is different. Chinese manufacturers will add one gram of raw material and 99 percent will be composed of other substances. Japanese manufacturers, on the contrary, will add 99 percent of ceramides and one percent will be composed of other substances. From China we can adopt technology, but the most important thing is practice. I received substantive knowledge in Taiwan,” she added. Three point six-gram lipstick costs 5,000 tenge (US$13.36), 1.8-gram lipstick is 3,000 tenge (US$8.10), face washing foam is 2,500 tenge (US$6.68) and gotu kola cream is 3,500 tenge (US$9.35). The young brand currently has 6,000 lipsticks and 600 other products. Production volume is demand-driven. “We sold, for example, 500 jars of sunscreen in a period of a month and a half. Sixty people bought our products in half a month. It is about 30 purchases in a week. This is only in Almaty. We are waiting for the certification declaration of our new products. We intend to talk with pharmacies and shops in order to put our product on shelves,” said Kuanysh. “The production process is automated by half. We need to purchase more equipment to fully automate it. We are sure our company will come to this. We are in the process of development with lots of goals for the future,” she added.